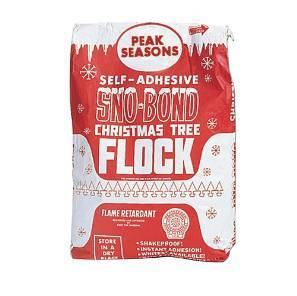 Navigate: StoreFront / Flock / Flock / Sno-Bond Flock 25 lbs. The finest quality cellulose paper enhanced with brighteners to produce and ultra-white flock! Fast dying. Approved by the State of California Fire Marshall. Easy to use bags.